After eleven novels and two graphic novels, Kim Harrison’s world of the Hollows is fairly stable. It has its own mythological history – how genetically-altered tomatoes caused a plague killing most of the world’s humans and allowing Interlanders (those with magic in their systems) to come to light. It has its own magic systems – including ley lines, earth, demon, and elven. Lastly, it now has its own deity – the Elven Goddess. Rachel first encountered her in an earlier novel, and the goddess now takes center stage as she sends her “mystics” – magical critters that cause magic to hiccup and create chaos as they search for Rachel’s aura. As usual, Harrison’s novel has a central problem that needs to be discovered, but at its heart are Rachel’s relationships with her family. As she states in the novel, “[I]t was an odd sort of family but it was a family . . .” (pg 169). Rachel interacts with all of her various family members here. There is Ivy, the living vampire who has struggled with her addiction to a dead vampire’s blood, and her partner, Nina, who is battling her own addiction. Jenks, who lost his own pixy wife, is now becoming involved with a fairy who lost her wings in a battle to take Jenks’ land. David, who accepted Rachel as an alpha female in order to avoid creating a pack, now has a fully functioning werewolf pack. The demons Newt and Al both show up several times and offer key information. Finally, Trent, Rachel’s former nemesis elf, is raising his daughter as a sister to the daughter of his security chief, Quen, and offering to take Rachel on a real date. Complications are to be expected. The plot of the story is almost secondary to the characterizations, but provides the necessary complications. Essentially, Rachel has come to the attention of the Elven Goddess, and the Goddess is sending out mystics to try to find her and assimilate her. The mystics, created out of wild magic or else simply part of that wild magic, cause other forms of magic to fail spectacularly, causing Cincinnati to be quarantined. The Goddess and her mystics are a sort of hive mind, who find it difficult to understand the individuals they encounter. In fact, they created madness in the Elven priest who they tried to assimilate. Fortunately, Rachel is enough of an anomaly that she is able to understand the mystics and help them “become” semi-individuals like herself. While I personally loved the story, with its twists and turns, someone who has never read one of Harrison’s earlier novels would probably find this one extremely convoluted and confusing. It probably takes all of the novels to fully understand the nuances that Harrison has created in this world. If you haven’t read any of them, start with Dead Witch Walking and learn all about the Hollows. It is worth the investment! Ten years ago, Kim Harrison introduced the Hollows world and her heroine, Rachel Morgan. 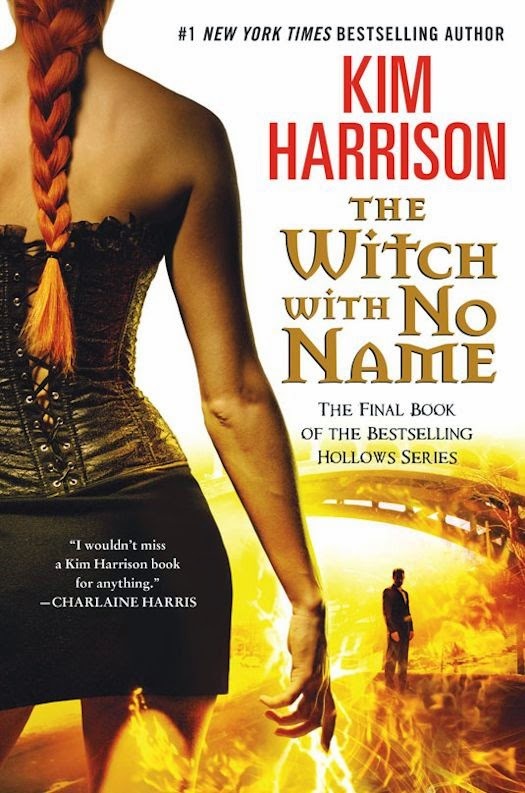 Now, The Witch with No Name provides its happily-ever-after ending, though not until Harrison has tested Rachel and threatened her friends and family one last time. At this point in the story, it would be difficult for someone to pick up this novel and read it as a standalone, although Harrison does a good job of setting the stage and background fairly well. I never would have known in those first books that her arch nemesis would change so significantly and that the demons would actually become more than just enemies. Rachel was extremely immature and flighty during those beginning stories. Harrison has made Rachel work for her evolution, and many of the characters who I thought would have lasted to the final book have died. Those who remain in her life also have grown and mostly changed for the better. 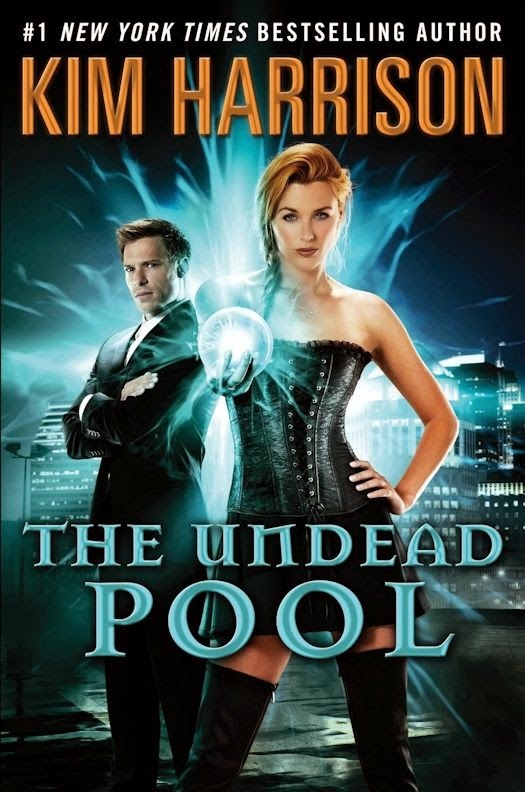 The fallout from the last novel, The Undead Pool, carries over into this one. The Hollows has several different races, many of which are at odds with one another. During the course of these novels, Rachel has learned that the demons and elves have been warring for centuries, and the demon realm of the Everafter actually was once a thriving world before the demons were banished to it. Since the Change, when many of the hidden races revealed themselves, humans have been in the minority, while weres (shapeshifters) and witches have become more powerful. At the top of the hierarchy are the vampires, both the living and the non-living. The distinction between vampires is that the living still retain their souls, while the dead have lost theirs. Where the vampire souls have gone becomes a key element in this final story, because Rachel has been commanded by the highest vampire to reunite undead vampires with their souls. In addition to multiple races, there are several different types of magic that are available in the Hollows – earth, ley line, demon, and elven magics. Rachel is the only person who can practice every type of magic. Because of the ongoing war between demons and elves, she is condemned by both sides for that ability; however, she is able to act as a bridge between those two races and, ultimately, among all the races. As she did in The Undead Pool, Harrison treads onto shaky ground as she looks at religion in the Hollows, with a seemingly divine being, the notion of souls and where they go after death, and what actions are capable when one loses a soul. However, the primary focus, as always, is on Harrison’s characters and their relationships and only lightly touches on religious philosophy. The reader is more interested in what will happen to the soul of the living vampire, Ivy, if and when she dies, because Rachel is so invested in Ivy’s wellbeing. Ivy has been Rachel’s friend since the first novel, and their relationship has been tested and strengthened throughout their adventures. There also is Rachel’s relationship with Trent and whether that can continue to grow since he is of a different race. Harrison uses these relationships to explore the nature of religion and race and offers some interesting views. As I mentioned, someone new to the Hollows would probably find this final novel extremely convoluted and confusing. However, for someone like myself who has read all 13 novels as well as the associated short stories and reference book, The Witch with No Name offers a satisfactory ending to Rachel’s story. It has been a fun ride, and while I often found myself frustrated with Rachel’s immaturity and her nattering about whether or not she should be in a relationship with someone, I am very impressed with the depth of the world that Harrison created in the Hollows. I will be very interested to see what new world she creates after this. Ms. Harrison has a new trilogy coming out from Gallery Books starting in the Fall 2015. It is set in a "futuristic" Detroit and features a special task agent, Peri Reed.